NOTE: - Retail Packaging is open & slightly dented but Item has NEVER BEEN USED. Welcome to the world of My Little Pony, a place filled with the magic of friendship. 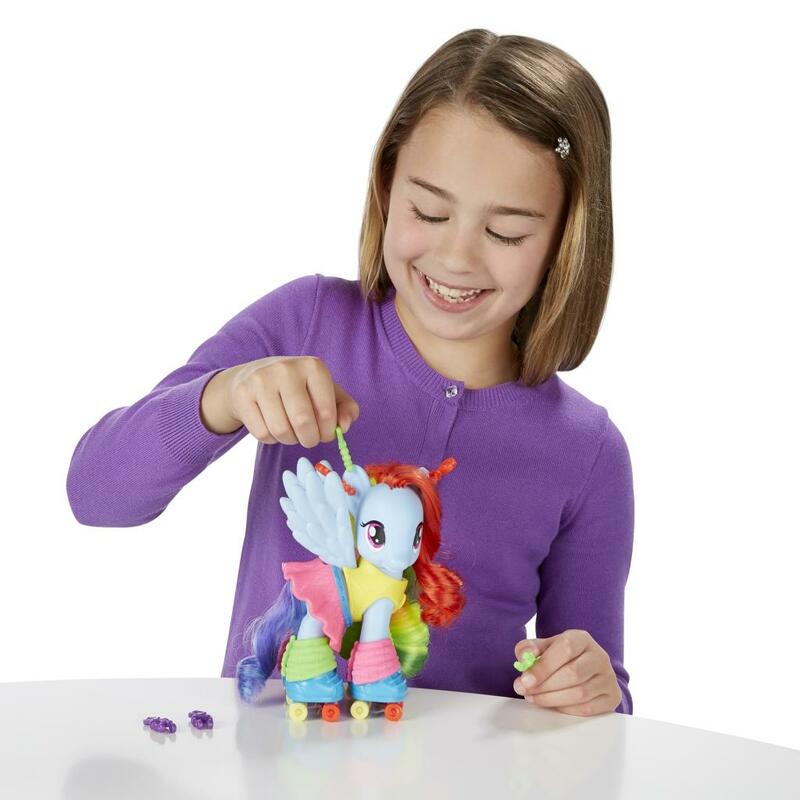 With imaginative playsets, colorful pony friends, and fun accessories for hairstyling and dress-up, girls can create the world of My Little Pony at home. 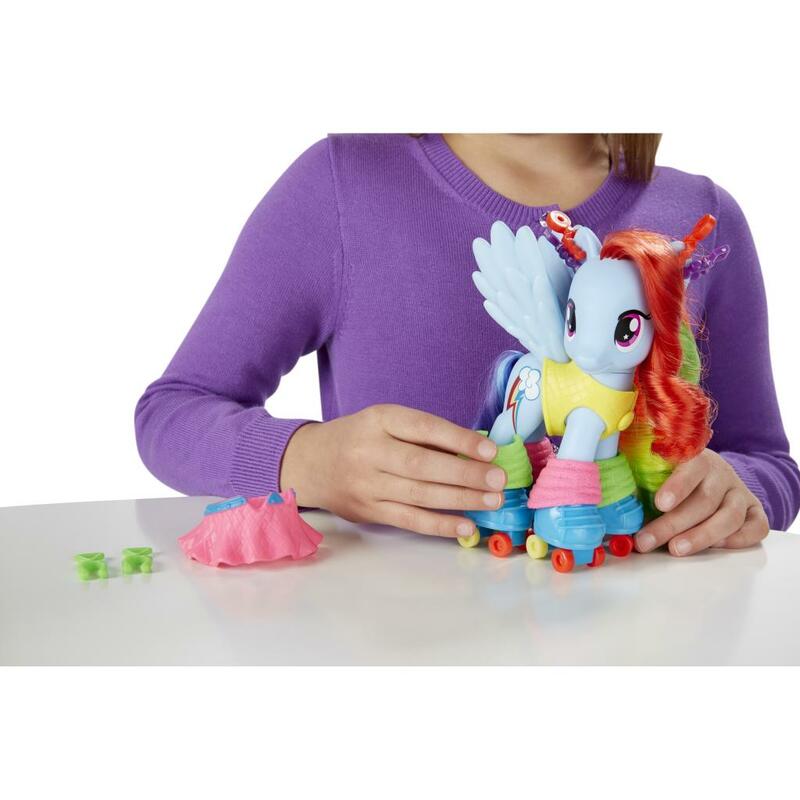 Dress up My Little Pony Fashion Style Rainbow Dash pony and style her hair! Rainbow Dash loves to go roller-skating! Now you can dress her up in her bright and colorful skating outfit and get ready to have some fun! After you dress her up, and put on her favorite roller skates, you can add on her matching leg warmers to keep her legs warm and ready for skating. She also has 3 pairs of bright, stylish earrings that you can mix and match, or put them on her all at once! It's time to go roller skating and Rainbow Dash needs a fun and stylish hairdo for the occasion! Now you can help her to look her very best with a fun hairstyle to match her bright and cheery roller skating outfit! 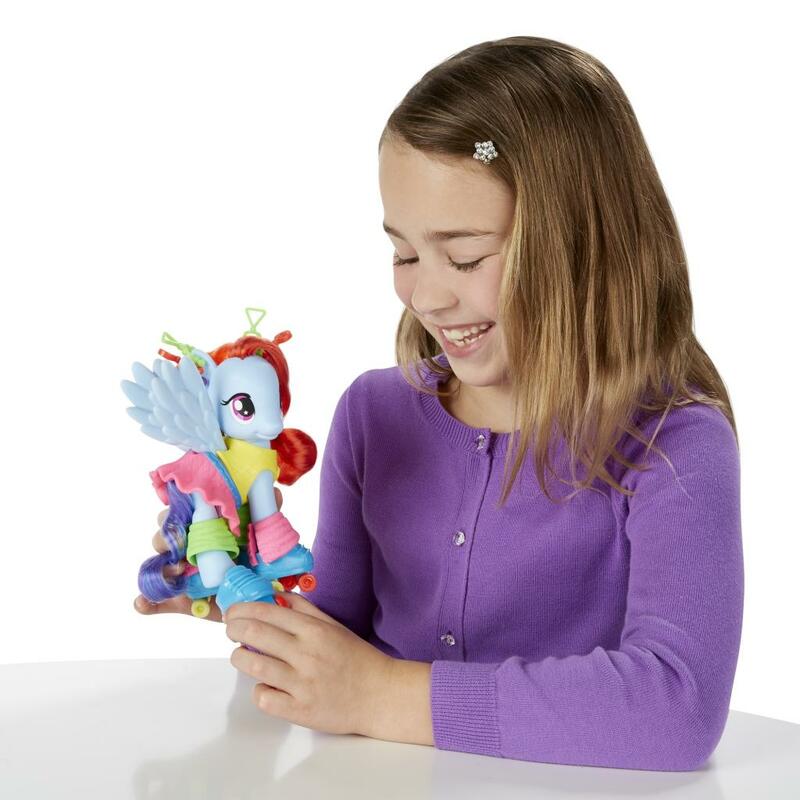 Every time you dress her up, you can give Rainbow Dash a pretty hairstyle when you comb her rainbow hair. Be sure to put some of her colorful earrings on her ears to complete her stylish look! Rainbow Dash is always ready for an adventure, and today's adventure is roller skating! 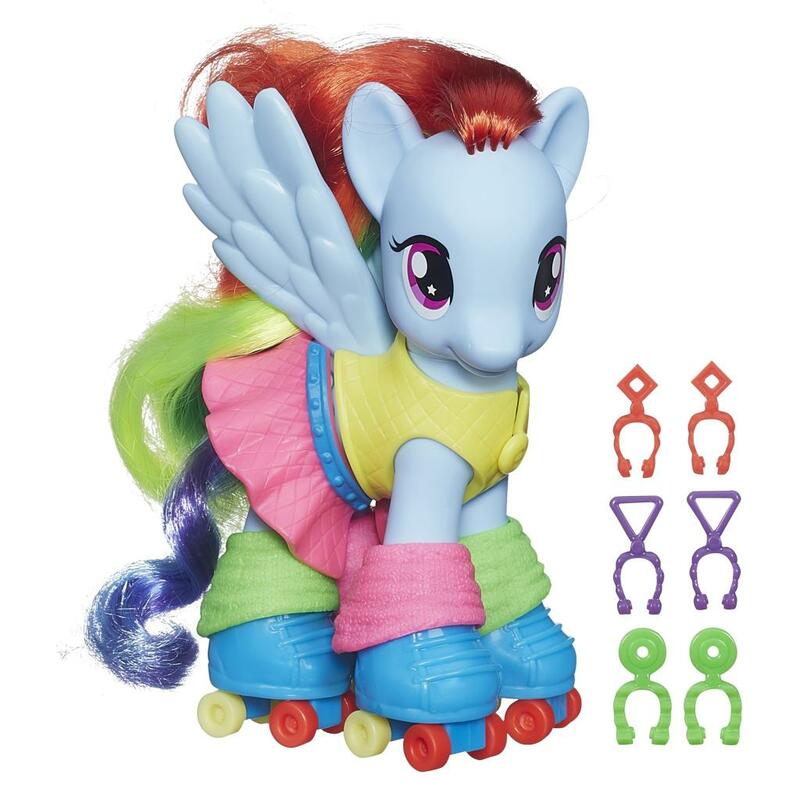 Now you can dress her up in her colorful skating outfit, add on her roller skates and bright accessories, and get ready to have some fun! Pony figure, skirt, top, 3 pairs of earrings, roller skates, and set of leg warmers. Hasbro is committed to being an ethical and responsible company and is a recognized toy industry leader in the areas of product safety, environmental sustainability, ethical sourcing and philanthropy. 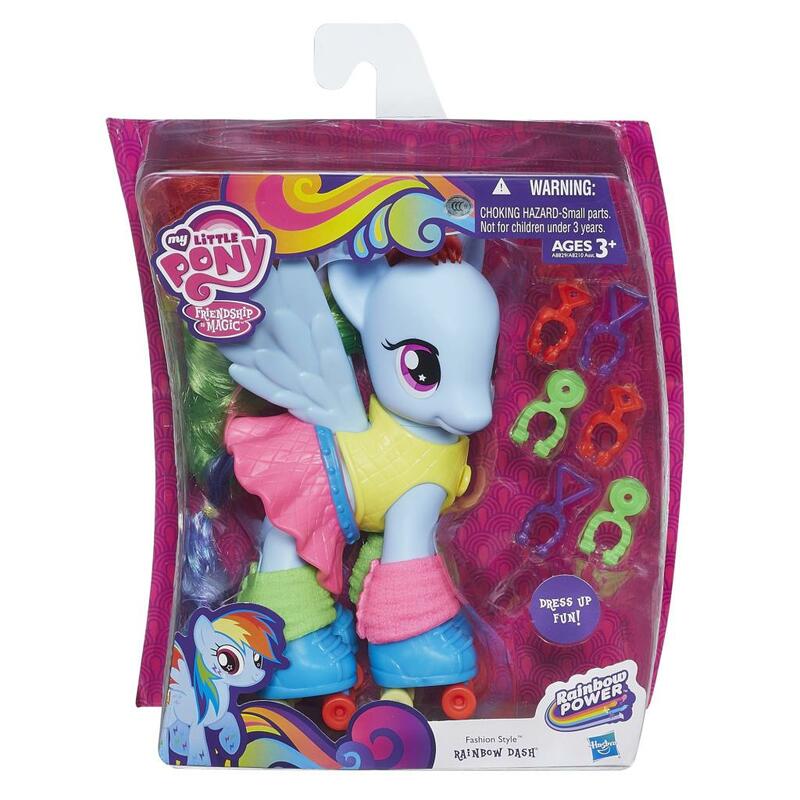 Click the button below to add the My Little Pony Fashion Style Rainbow Dash Figure (Open Box-Slightly Damaged) to your wish list.